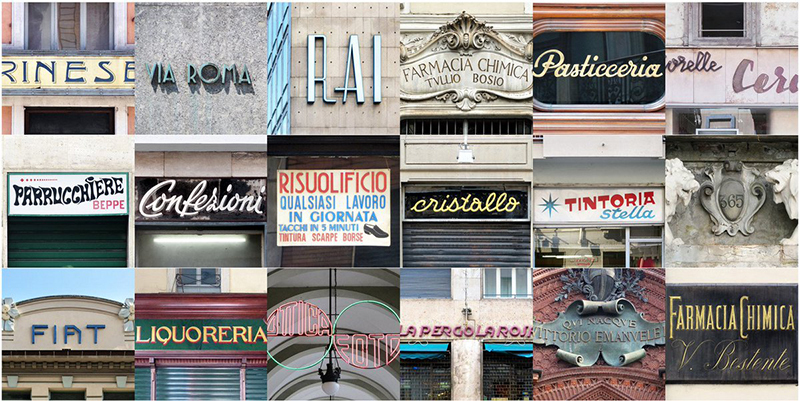 The 'Lettering da Torino' project began in 2012, using urban letters that fill the signposts in the city of Mole, and then later spread to other Italian cities. The idea was expanded on thanks to other editors and designers that followed this trend. Using the most interesting font style in the city, Silvia, art director of 'Puntuale' and project creator, has created a vector design, putting together various graphics which, when combined, make a huge visual impact. 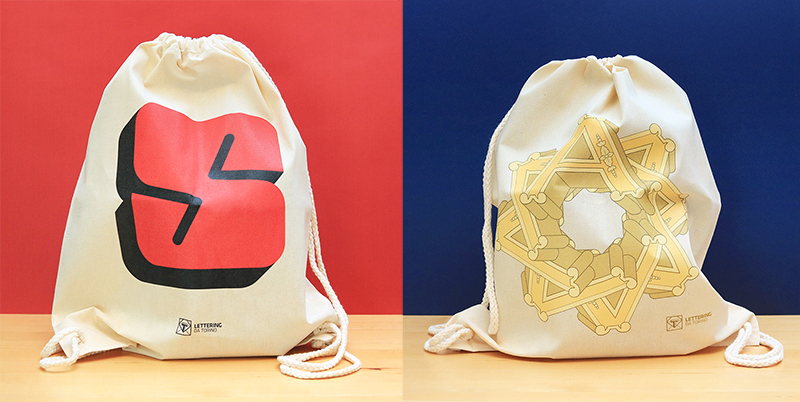 Among the various styles Silvia has also chosen golden and matte badges and twine backpacks. How did the idea of making a merchandising collection from this project come about? The line emerged with the aim of turning the Torino font into something more concrete. Each letter is vectorially redesigned, its shape is analysed and compared to existing fonts. It is a thorough and particular kind of graphic design work that is better understood by those familiarised with graphic design, that shapes original and attractive merchandising products. 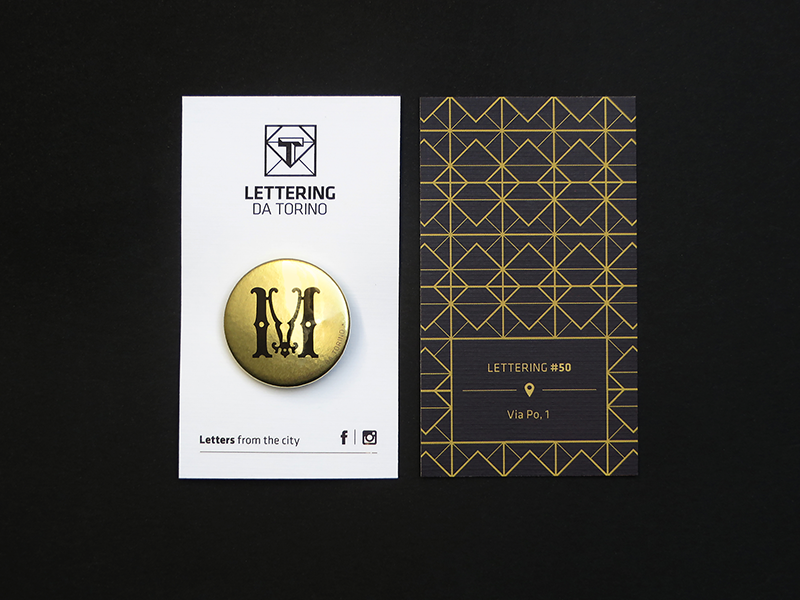 Perfect products for publicizing the project and for letting people know about a part of the city that could go unnoticed. Silvia chose different bases for getting across the power of the font and its graphic beauty. What leads to the act of adding fonts to backpacks or to badges? Every font becomes the focus of personalisation: big, full of colour and sometimes 3D or they are repeated in a more complex composition. Those who see variety fall easily into the trap of looking for the initial of their name or a meaningful point of reference. 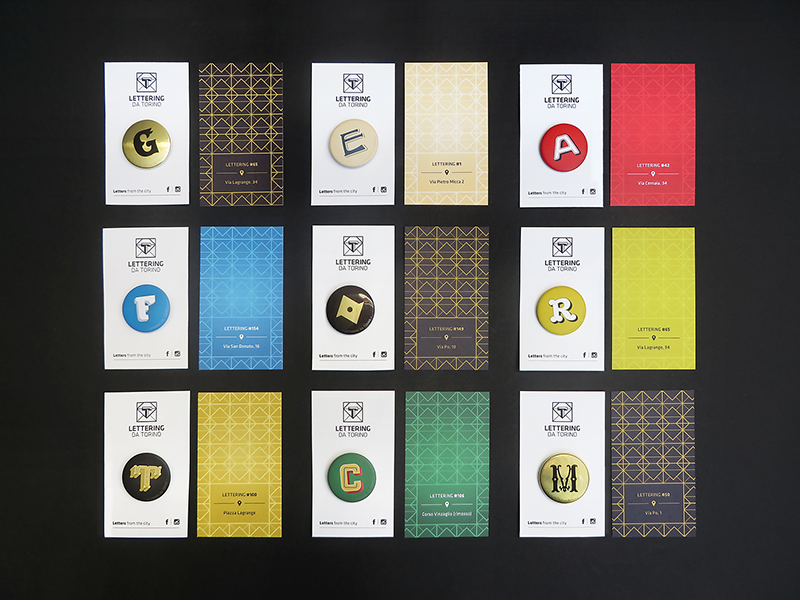 Every font comes with an information card that helps you to understand the origin of the font and to encourage you to visit the city it came from. Are you planning to make another line of products? It is tempting to constantly present new products in order to offer a wide range of products. 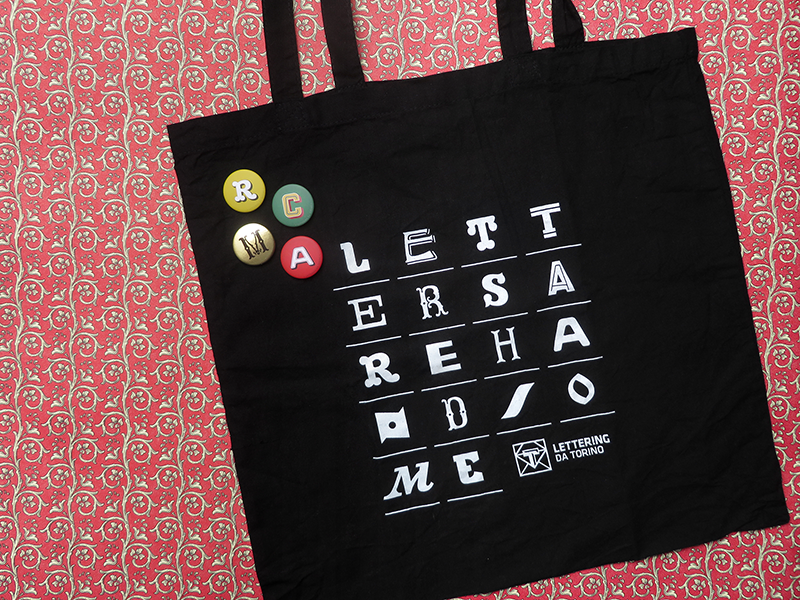 Now, for example, we're making a few prints on the bags that we're giving to fans of the project, then, if they are popular, we'll print more of them and send them to retail outlets. Have you received any feedback on these products yet? Yes, up to now the feedback we've received has been very successful. The public likes and is interested in the project and continues to be surprised by the variety of finishes and products. 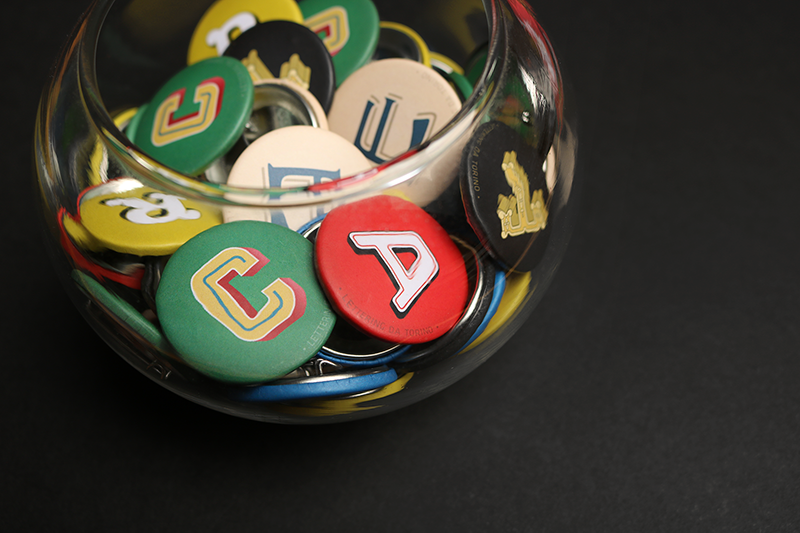 The badges have always been very successful, whether it's the one with a matte finish or the golden one that commemorates the old signposts of Turín.